How then will they call on him in whom they have not believed? And how are they to believe in him of whom they have never heard? And how are they to hear without someone preaching? 15 And how are they to preach unless they are sent? As it is written, “How beautiful are the feet of those who preach the good news!” 16 But they have not all obeyed the gospel. Imagine a child who is growing into adulthood. Each year she grows taller, stronger, wiser. Only with this child, her feet never grow any larger. While her arms and legs gain length and strength, the foundation of her body, the feet, disables her from running, jumping, playing as she’d like. Because she doesn’t have adequate support for her growing body, her feet become misshapen and debilitating for a healthy life. Speaking metaphorically, Isaiah 52:7 extols the beautiful feet of those who bring good news. In context, Isaiah 52 is a prophecy that recalls the enslavement of Israel (“You were sold for nothing,” v. 3) and the greater salvation that God is going to bring. Isaiah tells the people of Israel to rejoice in the happy news of their salvation (v. 8), for the Lord has revealed “his holy arm” and promises to lead Israel on a new exodus (vv. 10–12). In context, Isaiah 52 sets up the announcement of the Suffering Servant (Isaiah 53), who will deliver all God’s sheep—the elect from Israel and the nations—from the very sins that led them into exile. It’s in this context that the good news is brought. Romans 10 is one of the most forceful passages in the Bible for the call of Christians and especially churches to engage in missions. From Acts 13 on, the pattern of missionary activity is for churches to recognize gifted servants whom they can send out to deliver the good news to those who have not heard it. In Acts 13, Paul and Barnabas are called by the Spirit and commissioned by the church to take the gospel throughout the Mediterranean. Ever since, “New Testament churches” have followed their pattern—raising up, sending out, and supporting missionaries. In other words, “beautiful feet” do not come by accident. They are cultivated in and sent out by local churches. 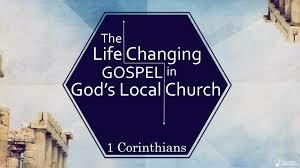 Churches are the God-given means by which the gospel is preserved (1 Timothy 3:15) and propagated (Ephesians 3:10–11). Accordingly, we long to be a church who is participating in the beautifying work of the gospel—i.e., seeing the nations bow down to King Jesus, receiving the beautiful garments of Christ’s righteousness (Isaiah 52:1). Back to our adolescent with small feet. To build on the metaphor of beautiful feet, we might say that for a local body of Christ to have beautiful feet they must be proportionate to the rest of the body. A small church, with limited means, would understandably have a small footprint. A medium church, with moderate resources, would have a medium footprint. And a larger church, with great resources, would have the largest footprint for missions and evangelism. In reality, many small churches have much larger footprints than might be expected. Paul, for instance, commends the churches in Macedonia who in their abundance of joy and extreme poverty overflowed in a wealth of generosity (2 Corinthians 8:2). These churches, spurred on by the heart-enlarging grace of God (2 Corinthians 8:9), gave “beyond their means” in order to meet the needs of other churches and propel the message of the gospel (8:3). How does this shoe fit your feet? Are you in a church like Macedonia whose missionary giving is unexpectedly large? Or, is your church more the one who needs some corrective surgery to increase the size of our footprint? In truth, no church has ever “arrived” with respect to evangelism and missions. And the most missions-minded church is never immune to evangelistic drift. That being said, like getting your foot measured, there are quantifiable ways to determine the size of our footprint. To give a personal example: In January of this year, we doubled our missionary effort as we took up the responsibility of supporting Gunnar Ingi Gunnarsson, an indigenous pastor in the capitol city of Iceland. For more than a decade, we have supported the labors of Pete and Sharon McMillan in Venezuela and Spain. Now, we are stretching our footprint to include another missionary couple. In truth, we have a ways to go to match our foot size with the size of our body. God has blessed our church with many gifts and resources. OBC’s passion for biblical truth, its large number gifted counselors, leaders, servants, and teachers, not to mention the material wealth God has given us to steward means our missionary footprint could be and should be significant. As Jesus said in Luke 12:48, everyone to whom much is given, much will be required, and to those who have been entrusted much, much more will be demanded. Echoing the parable of the talents (Matthew 25), Jesus’ words remind of us of the blessed burden of spiritual and material wealth. God did not give us plentiful resources—either great understanding of spiritual truth or possession of material treasure—for us to build larger barns (Luke 12:16–21). Rather, learning from the Macedonians, we are called by God’s grace to stretch our missionary footprint. May our church and your church see the importance of missions and labor to find new and more ways to enlarge our missions footprint. That was the emphasis I put on my first sermon at OBC, one that the Lord gives us in Psalm 67. As the Lord the gives us grace and favor, we are commissioned to share that good news with others. May God help us play our part in his world-wide missions effort.